Former MK Ben-Ari offers uncompromising criticism; Jewish Home MK calls Sharon 'great' - in both building and destroying Israel. Former Prime Minister Ariel Sharon's death Saturday has elicited a variety of responses, ranging from praise among world leaders to revilement from Palestinian leaders. The mixed reactions have characterized the response among nationalist Israeli leaders as well. In contrast to Jewish Home Chairman Naftali Bennett, who chose to praise Sharon's military achievements and consciously skip criticism over his 2005 "Disengagement" plan that expelled all Jews from Gaza - saying that the time was not appropriate - former MK Dr. Michael Ben-Ari offered an uncompromising appraisal of Sharon's life, saying that "history judges the results." MK Orit Struk (Jewish Home) similarly had mixed words to say about the former leader. "The truth must be said: Sharon was one of the great builders of the land of Israel, and its greatest destroyer," said Struk. "Someone who knew to defeat terror, and someone who caused all the south of the country to be hit by terror. His great firmness and ability to decide and act enabled him to reach impressive achievements, as well as disastrous processes." 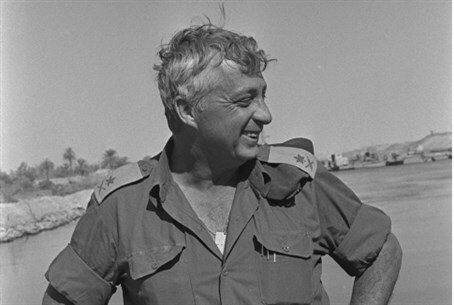 "Alongside our thanks and honor of the great contributions of Sharon to the state of Israel, it is impossible not to also thank G-d, that Sharon was taken from our public lives before he managed to carry out on the residents of Judea, Samaria and the 'Judea Samaria belt' the disaster he conducted on residents of Gush Katif and the Gaza Strip," added Struk. Meanwhile Benny Katzover, chairman of the grassroots Samaria Residents' Council and former Shomron Regional Council Chairman, expressed his sorrow at Sharon's passing given his personal friendship with the former leader for many years in developing communities in Samaria. "Personally I feel like a divided soul today," admitted Katzover. "We went together a good part of the way on a long and exciting path in struggling to settle Samaria. We met a man of great stature in terms of his character, abilities and leadership." "On the other hand, the wound from the process of the 'Disengagement' continues to bleed both in the personal dimension for those expelled, as well as the dimension of faith, hence the divided soul in terms of his character in the overall balance," concluded Katzover.